Just when you think they can't possibly uncover any more exciting finds in Jerusalem, archaeologists make yet another amazing discovery—an underground reservoir dating back to the First Temple period. It was dug sometime between the time of Solomon and the Babylonian captivity and shows the expanding city's need for water. 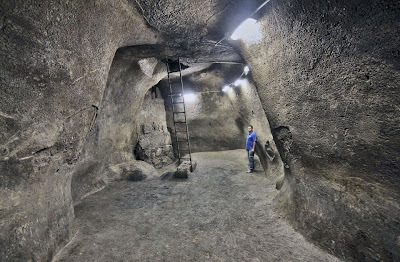 This was discovered underneath Robinson's arch on the southwest corner of the Temple Mount...below the drainage channel recently uncovered in the same area.